James Young was a Scottish Chemist. 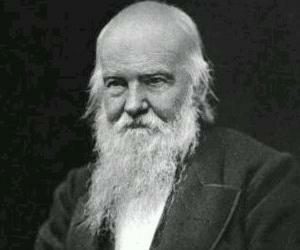 He is well-known for his method of distilling paraffin from coal and oil shales. This biography profiles his childhood, life, achievements and timeline. James Young was a Scottish Chemist, engineer, founder of the first commercial oil-works in the world, and is known as the father of the petrochemical industry. He was born to John Young, a cabinetmaker, and lived a modest life. He worked in the mornings as an apprentice to his father. He attended evening classes at Anderson’s College from the age of 19. It was there that he met Thomas Graham who was a lecturer in chemistry. He was appointed as an assistant to Graham, and became a friend of David Livingstone. 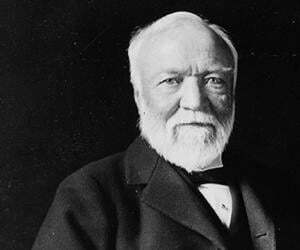 His first important contribution to the field of science was the modification of the voltaic battery. He proposed immersing potatoes in dilute sulphuric acid as a means of combating potato blight. He developed lubricating oil and thinner oil for burning. His most important contribution, for which he came to be known as James “Paraffin” Young, was for developing the technique of extracting paraffin oil by distilling coal. He patented his production in the US and the UK. 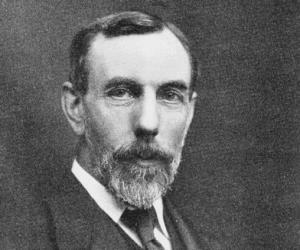 He was elected a Fellow of the Royal Society, served as the President of Anderson’s College, and founded the Young Chair of Technical Chemistry at the College. He was elected to the Manchester Literary and Philosophical Society. He was awarded an Honorary LLD at St. Andrews University. James Young was on July 13, 1811 at Glasgow, Scotland to John Young, a cabinetmaker. He became an apprentice to his father quite early in life, and educated himself studying at night school. He worked in the mornings and attended evening classes at Anderson’s College from the age of 19 where he met Thomas Graham who was a lecturer in chemistry. In 1831, James Young was appointed as an assistant to Thomas Graham, at times lecturing on his behalf. While working at Anderson’s College he came to be a friend of the famous explorer David Livingstone. His first scientific paper in 1837 described the modification of Michael Faraday’s voltaic battery. Graham was posted at University College, London, Young moved with him, and helped him with the experimental work. He was appointed manager at James Muspratt’s Newton-le-Willows, Merseyside, in 1839. Five years later, he joined Tennants, Clow & Co. at Manchester, where he formulated a method of making sodium stannate directly from cassiterite. In 1845, he proposed immersing potatoes in dilute sulphuric acid as a means of combating potato blight while serving on the committee of the Manchester Literary and Philosophical Society for investigation of potato blight. In 1847, his was told about oil oozing from the Riddings colliery in Derbyshire. After considerable experimentation, he and Mr Edward Meldrum developed thick lubricating oil, and a thin oil suitable for burning. He and Meldrum set up a small business of refining crude oil in 1848 after exiting from Tennants’. Though the production of oil was successful, the supply from the coal mine began to decline. He and Meldrum entered into a partnership with Edward William Binney, and started the first commercial oil-works at Bathgate by using oil extracted from shale and bituminous coal to manufacture naphtha and lubricating oils. In 1852, he moved to Scotland. He patented the production of paraffin oil by distillation of coal in the US. After a series of lawsuits, his patent was upheld in the US and the UK. In 1865, he bought out all his partners, and set up a larger plant at Addiewell, called Young's Paraffin Light and Mineral Oil Company. The company produced and sold paraffin oil and lamps. He sold his works at Addiewell and Bathgate in 1866, but remained on the board of directors, though he did not play an active role in it, deciding to look after his estates instead. From 1868 to 1877, Young served as the President of Anderson’s College and founded the Young Chair of Technical Chemistry at the College. He was also elected a Fellow of the Royal Society. In 1872, after noticing that bilge water was acidic, he suggested that iron ships could be prevented from corroding by using quicklime, making the ships rustproof. It was later adopted by the Royal Navy. He conducted elaborate experiments in his laboratory at his residence in Wemyss Bay, in an effort to recover ammonia from sewage. He was rather successful, and had it patented. He discovered that by slow distillation a number of useful liquids could be obtained from coal. One such liquid was “paraffine oil” which congealed at low temperatures. He patented his products in 1850. In 1879, he was awarded an Honorary LLD at St. Andrews University, and for two years was the Vice-President of the Chemical Society. He was elected to the Manchester Literary and Philosophical Society. Young was married to Mary and the couple had three sons and four daughters. He died at his home on May 13, 1883 in Kelly, near Wemyss Bay, and was survived by his wife, their three sons and four daughters. He was buried at Inverkip. The James Young High School in Livingston, and the James Young Halls at the University of Strathclyde were named after him. In 2011, he was inducted into the Scottish Engineering Hall of Fame. This Scottish scientist built a miniature version of the “Victoria Falls” in Limefield House, where he lived, as a tribute to David Livingstone who discovered it in the mid-19th century. This scientific researcher was a good friend of David Livingstone, and funded a search expedition to find Livingstone when he went missing. He also arranged to have Livingstone’s servants brought back to England.